Hoverboards, from what we saw in the year 2015, are the scooters with no handlebars and are running on lithium batteries. While they are a great comfort for pedestrians, generally clocking 10-12 Kms in a single charge, they are far from safe if airline officials are to be believed. The reason is their combustible batteries that can catch fire due to overheating. 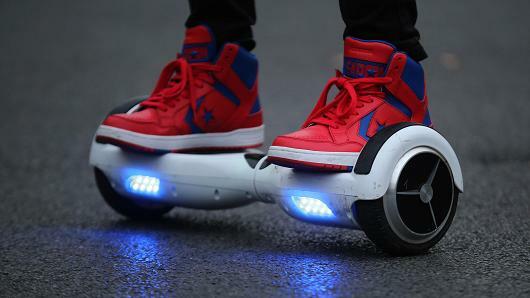 In 2016, we may see a crackdown on fake batteries and an improved and safer hoverboards. Once the barriers are lowered, these motorized and personalized mobility devices will gain wider popularity and acceptance. And what about those that lifts one up above the ground? There were some scary youtube videos that showed these real hoverboard but expecting them in 2016 would be daydreaming. Wait a second! If you don’t mind spending $19,900 for a thing that gets you in the air, you can order a real hoverboard from Arca, its maker, and if everything goes as per the plan, the company will start shipping them in April. This will be the best thing that could ever happen in your backyard. Another (but hugely different) addition to the space of personal mobility. Google and Apple brought computer technology in automobiles and self-driven cars were born. 2015 saw Tesla, manufacturer of battery driven cars, launching Model S, which was a semi-autonomous vehicle capable of adjusting speed as per the traffic, auto-steering, and changing lanes with a tap. The previous year witnessed all sorts of exciting news covering these tech giants’ efforts in ramping up their facility and teams to build the future of the automobile industry. Although we are far from the day when we play our favorite game with virtual reality headsets while our Google car drives us to the countryside, this year will probably see some of the groundbreaking breakthroughs in this arena. I just said virtual reality headsets! Facebook’s Oculus Rift, Sony’s Morpheus, Samsung Gear, HTC’s Vive and a relatively new entrant in the VR party Microsoft’s FOVE, virtual reality is destined to be the talk of the 2016 with more and more devices are expected to be lined up for the end users. Get ready for the world of immersive content. Microsoft’s HoloLens is similar in appearance to Oculus Rift but the comparison ends here only. HoloLens is augmented reality (AR) but Microsoft positions it as a device that lies between AR and VR as it projects a screen, just like AR, but the elements interact with the physical surroundings. You can put applications’ tile on your wall or place graphical elements on your drawing room’s sofa. HoloLens will continue to serve the purpose of researchers and engineers, but there is still time before the day people pay a ridiculously high price to get this gadget. Did you see the Minecraft demo of HoloLens? Google it! You will be amazed if you are a fan of this game. One-day delivery, same-day delivery, and now drone-delivery, Amazon is upping its game. However, the concept is not new as the company unveiled its drone back in December 2013. Is Amazon alone in this futuristic view of package delivery? No. Alphabet, Google’s parent company, plans to start drone-delivery to consumers by 2017. Walmart, too, is in the game. Will 2016 be a year when a customer sees a drone landing on her rooftop, or backyard with her order? Tough to take a call on that as drones have many issues regarding regulations and safety that aren’t insurmountable but are enough to keep delivery robots away for another year. Expect some more awe-inspiring news coming from the silicon valley this year. Wish you a more technologically exciting 2016!